OGDENSBURG, NY - The Frederic Remington Art Museum's next Night at the Museum will be held from 6 to 8 PM on Thursday, July 19, 2018. A big day for the Museum, the event marks the ​museum's 95 anniversary, to the day. In celebration, there will be cake. We will also be celebrating the 150th anniversary of the incorporation of the City of Ogdensburg. The museum will be open extended hours for guests to take in the Museum’s exhibits, including the 2018 Members’ Juried Art Exhibit ​and “Form and Gesture: Drawings by Frederic Remington” curated by artist-in-residence Margaret Jacobs, and enjoy live music in the Eleanor Vilas McNally Courtyard. Light refreshments will be available as well as a cash bar provided by Hosmer's Marina. Admission will be $5 for members and $10 for nonmembers. 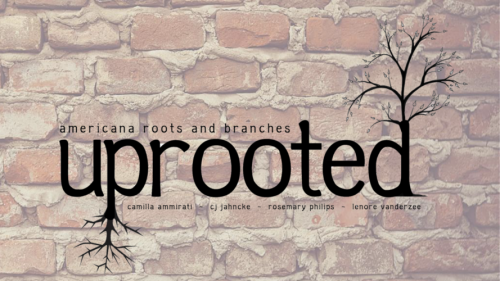 The Museum is excited to welcome musical guests​ Uprooted! including Catherine Jahncke (bass, guitar, vocals), Rosemary Phillips (mandolin, guitar, vocals), and Lenore VanderZee (guitar, vocals). Uprooted! will be bringing their eclectic, acoustic, Americana sound to the Museum for the first time. The Wimpy’s Inn food truck is scheduled to park on the Museum property for the event. A wonderful addition to live music, guest are welcome to enjoy the music, see the art and partake in this delicious long​-​standing Ogdensburg tradition. From 6 to 7 PM, the Museum will be offering a new public educational program, “One Hour One Work,” in the Albert P. Newell Gallery. The program invites participants to slow down and dive deep into a single work of art on display at the Remington Museum. A Museum educator will facilitate 60 minutes of focused looking, consideration, conversation, and interpretation of a single artwork. Featured will be Frederic Remington’s 1909 oil painting The Sun Dance. The program is free with admission to the event, but reservations are requested, in order to facilitate close looking and ease of conversation. To learn more and register, contact Laura Desmond at 315-393-2425 or desmond@fredericremington.org.